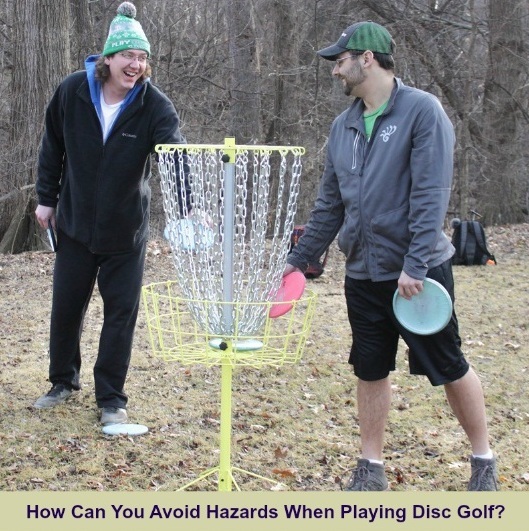 Home / Sports / How Can You Avoid Hazards When Playing Disc Golf? How Can You Avoid Hazards When Playing Disc Golf? No matter if you are a new disc golfer or an experienced player; you don’t have control on the hazards that can hinder your game on the disc golf course anytime. From seeing your disc clunking against the tree to losing it, there are a lot of problems that you might face during a round. Hazards are an indispensable part of the disc golf game. You might have always practiced perfecting your toss, but trees and bushes can still create issues during your game. You must learn how to avoid these hazards and hit the chains to score. You must focus on improving your game by practicing on each golf course. This will help you in plotting how you will be able to overcome a certain type of hazard during the game. Here are some of the tips that will help you in avoiding the hazards to a great extent if they are adding strokes to your score. Tossing high, in the beginning, is the sign of a non-professional golfer. These throws are not only bad in the golf course but also end up smacking the tree branches and even getting stuck on a tree high up. This is the surest way to lose a disc unless someone is dedicated and willing to help you find your lost discs. It is best to avoid such hazards by aiming low. Most disc golfers are in a hurry to throw the disc that they don’t even check for the fairway. It is always better to take time to visualize how you want to throw the disc to the target, and to by keep in mind the potential hazards that might be your way. Over-thinking results in many misses and hitting hazards. It is always better to avoid the distractions and concentrate on your goal. You might have smacked a tree that was in the middle of your path while thinking about avoiding it. The reason is that when you over think something, you end up in the pitfall anyway. It is better to focus on the task on hand than the negative side-effects. Your throw varies from time to time. It highly depends on the obstacles that are in your way. If you aren’t careful, a hard throw can be the worst option if the ricochet will leave you in a worse position than when you started. Sometimes throwing softly and in a controlled manner will leave you in a better spot when throwing through numerous hazards. Success is all about understanding and practicing intelligently for the game to become a good disc golfer. Because you will get to practice and play in the same courses over and over again, you will become familiar with every hole and the best approach that you can use for them. It can be frustrating to hit a tree in the middle of your game but this will add to your experience and will make you a better player. With time, you will learn how to avoid hazards and make controlled throws to the disc golf basket. Hazards are an integral part of the disc golf game. You cannot ignore them. You must learn how to throw around them for a better play.